Over 650 babies were saved as parents who were considering abortion stopped to talk with volunteers praying at our nation’s abortion clinics and Planned Parenthood offices during this autumn’s 40 Days for Life. Two of these babies were from Rockland. 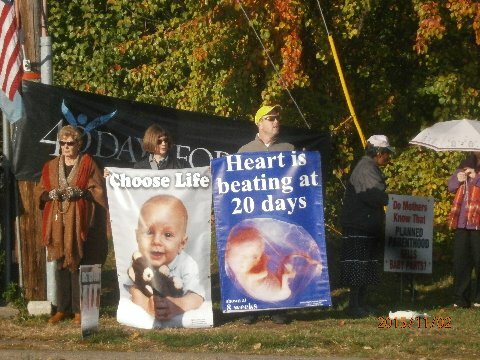 The vigil of prayer, fasting, and raising awareness of the abortion issue ended on Nov. 1. Thirty-one participants gathered in Rockland for a closing ceremony. The next campaign begins on February 20 and ends on March 10. Over the next few months, please give some thought and prayer to joining this important mission in February.